We already know just how big Facebook is – and how much it is now part of everyday life for millions around the world. But do you know the power of Facebook when trying to reach potential customers? Facebook advertising is different to other forms of advertising. Rather than paying a lot of money to cast the net wider than it needs to be, we can create targeted ads to reach those that are more likely to become paying customers. Via our white label Facebook ad management platform we can create ads targeted at specific geographic areas, ages, levels of education, and even if they are using a mobile or desktop device. Or if you have a post already on your timeline and you’d like to push that, we can boost that post. 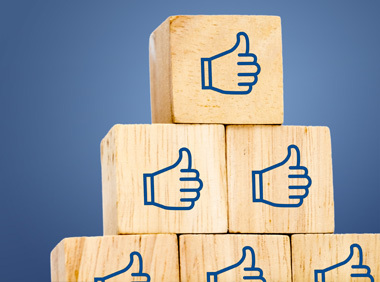 Facebook is powerful, and its advertising enables you to be surprisingly flexible with spend. New start-ups. The ability to set a small spend is a great way for new businesses to reach more customers without needing huge marketing budgets. Competitive Industries. Some small to medium sized businesses in industries that are dominated by big brands, can be priced out of other forms of advertising. Facebook is a great option for those that Businesses with a small following. If you are posting on social media all the time but not gaining any more followers, it could be that your posts are just not reaching people. Running a competition or providing some great free tips using boosted posts or ads can be a great motivator in getting people to like and share your page. To run alongside other advertising. Everyone knows the power of brand awareness. Perhaps you are running adverts in local media or have an active SEO campaign? Getting us to create targeted ads within our white label Facebook ad management platform means that we use a Facebook username that has no affiliation to our company to do the marketing through, so you can resell the service to your clients in complete confidence. No matter the type of company you are working with, Facebook has enough different marketing options that we can tailor your marketing efforts to fit your clients and their budget. We design 1 single image ad that is set to run for one calendar month. Multiple ads can be run at a time however, pricing guide and budget below is based on a single ad being run. We advise to start with one ad whilst we clarify the best audience. Once we have established a good audience, we can create targeted ads built around specific geographic areas, ages, levels of education, and even if they are using a mobile or desktop device. From £150 (or $200 USD) per month management fee – paid to us by you (the reseller). From £150 (or $200 USD) minimum monthly budget – paid directly to Facebook by you (the reseller) or your client. This is a lower cost way to grow your Facebook audience or traffic to your website. Like the service above but without the design of ads. We could use an existing post, market the website to get more clicks or push their FB page to get more likes/followers – or even a combination of these depending on budget. Please contact us to discuss the details of your campaign.